According to the US Fire Administration, there are almost 3,000 dryer fires every year. The most common cause for these fires is people’s failure to properly clean their dryer vents. While a damaged hose and animal nests can clog your vent, lint is the most common culprit. At Lindstrom, we use the best products on the market. One product we use while cleaning your dryer vent is HEPA vacuum equipment. HEPA vacuums, or high-energy particulate air, filter ups to 99.7% of particles which keeps your air clean. Keeping particles out of the air leaves your home cleaner and is safer for those with allergies and asthma. Your family’s safety is our top priority. Your dryer may be showing signs its vent needs to be cleaned if clothes are taking longer to dry, your dryer is getting too hot, or there is no sound or steam coming from the dryer exhaust outside. 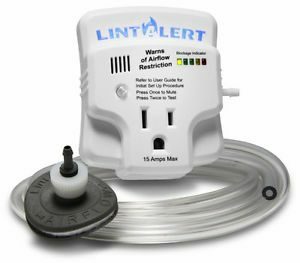 Another way to monitor your dryer vent is to install LintAlert. LintAlert digitally monitors your dryer vent to detect even the smallest air pressure changes through the SmartTap™ inserted into the dryer transition hose. LintAlert plugs into the outlet nearest the dryer (don’t worry, it accommodates another plug as well) and is equipped with green, yellow, and red LED lights connected to its onboard computer. When the device detects a dangerous change or blockage, it flashes red and lets out an audible alert to you and your family. For more information on LintAlert, how to schedule your next dryer vent cleaning, or any of our other Fort Lauderdale area products and services, please contact us today. Don’t forget to ask us about our exclusive 100% Satisfaction Guarantee!